2 Ball Joints. 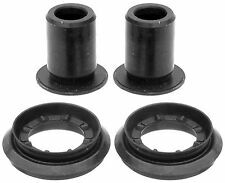 MOOG PROBLEM SOLVER BALL JOINT SET. "Moog Ball Joint --. Notes : Kit components - 2 Ball Joints; Includes hardware. Series : Moog Problem Solver. Engineered with larger housing for tighter ball joint fit. "Moog Tie Rod End --. 2 Tie Rod Ends. Notes : Kit components - 2 Tie Rod Ends; Includes hardware. Quantity sold : Set of 2. Therefore all implied warranties that may apply to your part are limited to the duration of this written warranty. 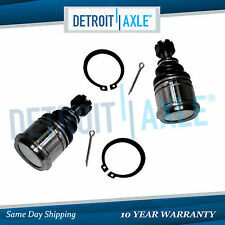 Left, driver side spindle / knuckle, with the bearing, hub and ball joint, used, OEM. Right, passenger side spindle / knuckle, with the bearing, hub and ball joint, used, OEM. STRUT MOUNT BUSHING REAR UPPER. "AC Delco Ball Joint --. Notes Location : Front, Driver or Passenger Side, Lower. Engineered with full ball stud and sturdy, two-piece cylindrical wedge bearing. Location : Left or Right, Front. Condition : New. Acura: Integra [1990-1993]. EZ Accessory is committed to providing the best suspension OE parts on the market. Lower ball joint K9385 - 2 ea. Lower Ball Joint K9385 K9385. 1 Year Warranty will not be granted if any signs of abuse or improper installation like over torque or failure to trim down hub studs whenever it is necessary. I am not familiar with all makes and models this fits. The applications for this item can be viewed in the compatability section. German, Italian, French, Swedish, and Asian Foreign Auto Parts at Wholesale prices. This will expedite credit to your account, if applicable. Premium quality! Ships fast from multiple US locations! EZ Accessory is committed to providing the best suspension OE parts on the market. 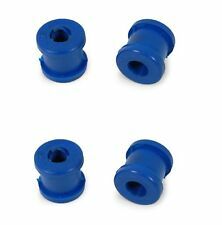 Ball Joint K9385 - 2 ea. Ball Joint K9385 K9385. 1 Year Warranty will not be granted if any signs of abuse or improper installation like over torque or failure to trim down hub studs whenever it is necessary. 2x Front Lower Ball Joints. MPN: GK9580. Overdrive has been in the automotive parts industry for over 15 years. FIND THE RIGHT PART FOR YOUR CAR. QUICK LINKS. MIRROR ASSEMBLIES. MIRROR GLASS. OTHER PRODUCTS. Manufacturer Part Number: 8611. WHEEL BEARING. TIRE CHAINS. TIMING BELT. Tire Chains And Accessories. Timing Parts/Kits-Valve Train. Rotating Electrical. Radiators And Cooling. Part Number: GK9580. Interchange Part Number : MK9580, 101-4168, 1032903, GK9580, RK9580, AXK9580. Part Numbers: 101-4168, 1032903, 12464, 19263150, 2671448, 454000, 45G8049, 51455SB0003, 602.40018, 67336, AXK9580, FB588, FK9580, GK9580, IK9580, JBU895, K9580, MK9580, PK9580, RK9580, XK9580.